38 - $133.99 Only 3 left! 42 - $133.99 Only 3 left! 44 - $133.99 Only 1 left! 46 - $133.99 Only 4 left! Ugh. You have to go to another cocktail party for work. Who would have thought that sweet PR gig involved so much...public relations? And anyway, every event is exactly the same, not to mention the sea of blue, black, and grey “formal wear” so deep it’s impossible not to get lost in. Are we right? 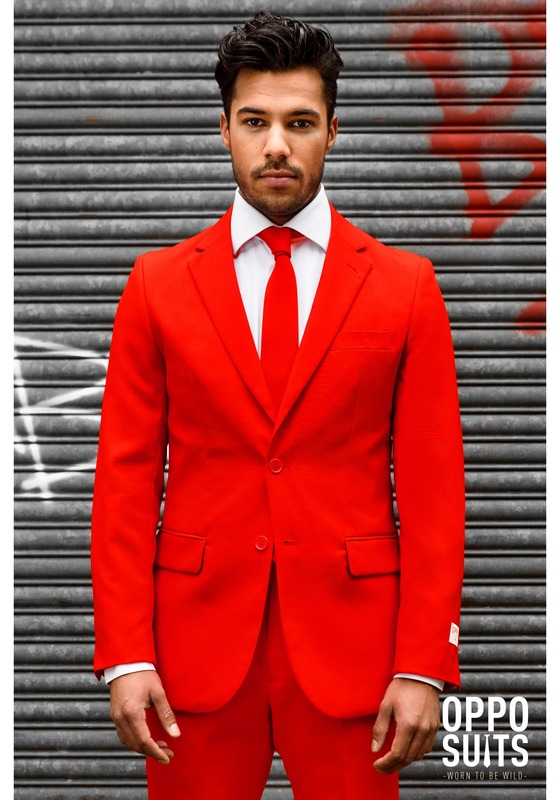 Here’s a really great solution for you, that might just add a little fire to your next work function : this Men’s Opposuits Red Suit. It is bold. We mean SCORCHING. If you show up to the typically drab cocktail party in this attention-grabber, you’ll surely turn every head, make every contact, and collect every business card like it’s your job - because, well, it is! 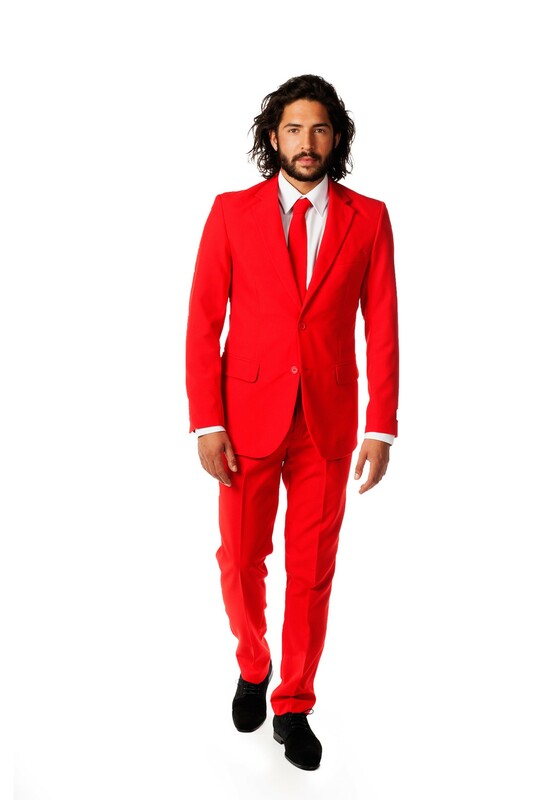 Make a statement in this incendiary suit that matches the brilliant red of your soul. 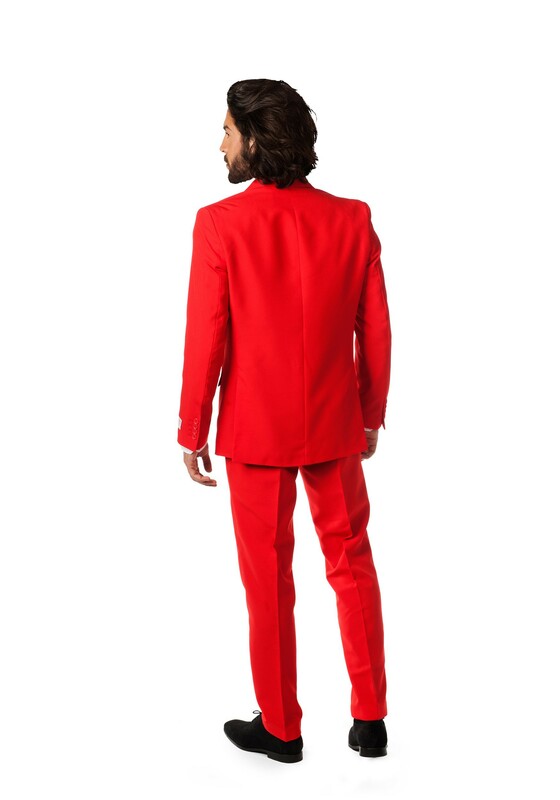 The intense color vibrates off the fully lined suit jacket, complete with a two-button closure in the front and false pocket flaps. The included necktie perfectly matches, but it’s not a clip on -- so learn to tie that tie like the boss that you are. The pants come intentionally long for styling on casual footwear, so you can go all business, all casual, or a little of both. Enjoy that 80th cocktail party, and don’t be afraid to approach your boss about that promotion you’ve been thinking about; tonight is the night. In this suit you can’t go wrong!